A priceless piece of history...... One of the most precious historical artifacts in the country, the priceless Cross of Cong, is to return back to Kildare Street Museum of Archaeology. Last year was the first time the Cross was in Mayo since 1839 and has been on show at the Museum of Country life, Turlough, near Castlebar, Co.Mayo for the past year. It is one of the premier treasures in Ireland and had never been moved out of Kildare Street due to its fragility. 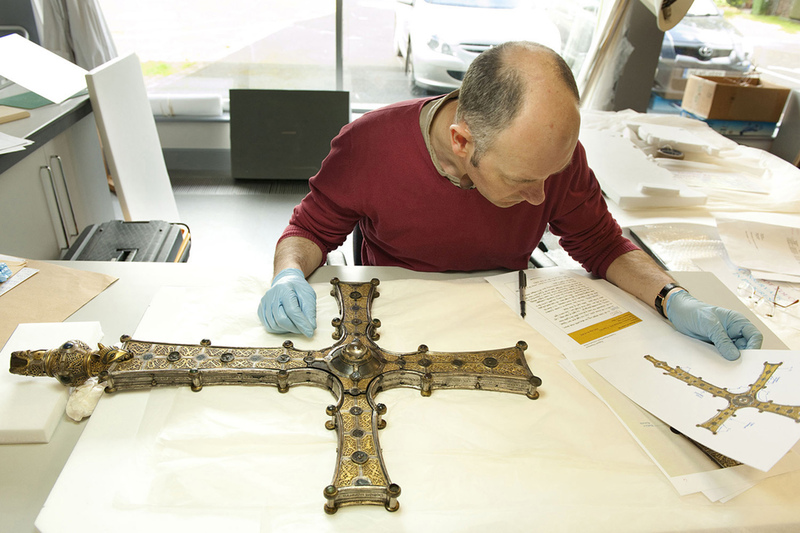 Dr. Paul Mullarkey (Conservationist, NMI) examines the Cross of Cong before it is transported back to Kildare Street. The cross, regarded as one of the countryâs greatest treasures.